Peppermint is much more than a Christmastime treat. It has a thousand uses. It has been used to freshen breath, flavor beverages, calm nerves, and even grow hair. But as far as I could tell, it did not have the power to repel ex-boyfriends. I wasn’t considering this failing on peppermint’s part when I awoke early that Thursday morning, two weeks before Christmas, and when I say early, I mean very early. It was before five AM, but there was much to do to prepare for the Harvest Christmas Market that would begin the next afternoon on the village square. I lived and worked just across the square at Swissmen Sweets, an Amish candy shop in Holmes County, Ohio, that I ran with my Amish grandmother Clara King. No, I wasn’t Amish, but my father’s family was. However, I did have peppermint on the mind. Peppermint was the name of the game for our table at the Christmas Market. The organizer, Margot Rawlings, who typically was the instigator of all major events in the village, said that every table had to have a Christmas theme. Peppermint was the obvious choice for the candy shop. In addition to peppermint bark, we would have peppermint hard candy, fudge, hot chocolate mix, taffy, and thumbprint cookies. It was midmorning now, and the shop smelled like the inside of a peppermint patty. My grandmother, her young Amish cousin Charlotte, and I worked in a companionable silence that had taken me some time to grow accustomed to. Up until a few months ago, I had spent most of my adult life in New York City working as an assistant chocolatier at JP Chocolates for world-renowned chocolate maker Jean Pierre Ruge. After my grandfather’s death in September, I left city life behind to take over Swissmen Sweets. After working the busy, fully staffed chocolate shop in New York, where there was constant activity, it had taken me some time to get used to the quiet of Swissmen Sweets. Even when the shop was busy, it never felt as frenetic as JP Chocolates. I had grown to like the quiet and was looking forward to my first peaceful Christmas in Amish Country. Down the counter from me, Maami cut her chocolate peppermint fudge into neat squares, and Charlotte packed them in small white boxes. She tied each box closed with narrow red ribbon. The pair softly murmured to each other in Pennsylvania Dutch while they worked. They looked much more like grandmother and granddaughter in their plain dresses and matching prayer caps than Maami and I ever would. I wasn’t sure they even realized they were speaking a language I didn’t understand at that moment, but I felt a stab of isolation at the other end of the counter as I worked on my own peppermint treats. I tried to focus on the task at hand. I had hoped to make a few additional peppermint goodies before the market opened, but all my Christmas Market plans seemed to have flown out of m head a few hours earlier, when my ex-boyfriend crashed my candy shop. That was the moment when I realized peppermint’s shortcomings. 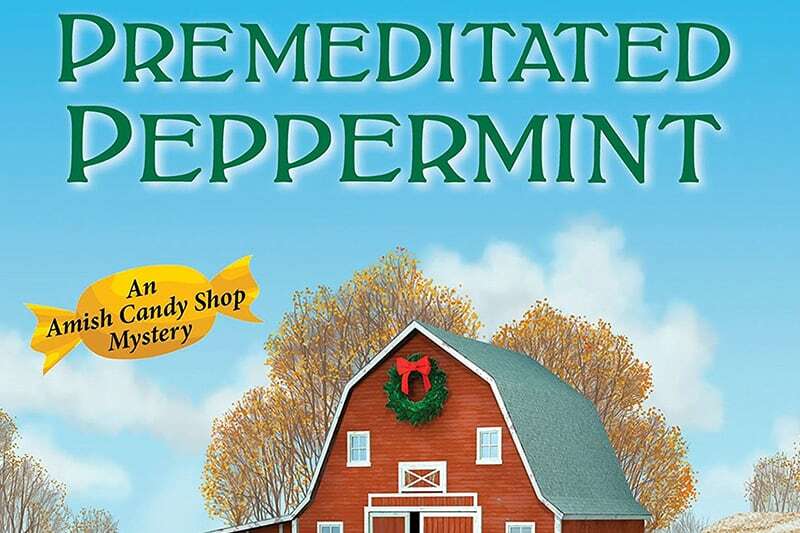 Kensington Publishing is giving ONE lucky reader the chance to win a copy of PREMEDITATED PEPPERMINT! To enter, leave a comment below. Giveaway starts today, Wednesday, September 26th and ends Wednesday, October 3rd and is only open to US residents. One winner will be selected at random and announced on Thursday, October 4th. Good luck and don’t forget to share this giveaway with your friends! Christmas is Bailey King’s favorite time of year. For her first Yuletide in Harvest, Ohio, the former big-city chocolatier is recreating a cherished holiday tre peppermint combined with molten white chocolate. But her sugar high plummets when her former boyfriend walks into the candy shop she now runs with her Amish grandmother. New York celebrity chef Eric Sharp and his TV crew have arrived to film an authentic Amish Christmas. Bailey’s not about to let her beloved town—and Swissmen Sweets—be turned into a sound bite. Unfortunately, she gets more publicity than she bargained for when Eric’s executive producer is found strangled to death—and Eric’s the prime suspect. Amanda Flower, who also writes as USA Today bestselling mystery author Isabella Alan, is the nationally bestselling and Agatha Award-winning author of over twenty novels. She is also a librarian in Northeast Ohio. Please visit her online at www.AmandaFlower.com. I love this series! Thank you for the chance to win this new book! I love to read the Amish books thanks for the chance to win this one sounds like a great book! I love the Candy Shop Mysteries! It is a new twist on Amish fiction and the candy industry is so well researched! I have learned a lot while enjoying the story. Looks like a wonderful Christmas read! Looks like a great read…thanks for the chance to win! I am enjoying reading the series. Can’t wait to read this one. Iam already intrigued and need to read more. Thank you for exciting books. Can’t Wait to Read the Whole Story ! ! ! Would love to win this Book..
Looks like a great read, I love all of your books! Thanks for the chance to win it. I am reading Assaulted Caramel now. Love it and I’d love more! I’m reading Assaulted Caramel now and would love to “taste” more! I love books like this! Cant wait to read it. Sounds like a fun, interesting read. Would be thrilled to win a copy of this book. Love the cover. Thank you. Love the cover! Thank you for the chance to win this book. I enjoy this series and look forward to this book. Amanda Flower provides her readers with wonderful books. From Amish based to a Haunted Bookstore, you always get your worth. I would love to read this book, chapter one made me want more. Now I am going to have to search for more of the series. This book looks awesome. Need to look for more by this author. This book sounds great! I am looking forward to reading it. Thanks for sharing. Sounds really good. Love the cover! I love reading about the Amish, especially the mystery ones. Can’t wait until this one comes out. This sounds like a really good book. I haven’t read these but I will be looking for them. I love Amish books. I live in Amish country,Lancaster county Pa..I read a lot of the Amish books and this series looks very interesting. This sounds like a fun and cozy murder mystery. Just in time for the colder weather too. Thank you for the chance to win this book! I love Amanda Flower’s mysteries . The covers are neat. Hope to read this one soon. Just in time for holiday entertainment…Christmas and a mystery; a winning combination for a good time reading and sipping hot chocolate. When I get a new book, I always put down the book I am reading just to start my new book. Thank you so much for the chance to win looks like a great book and I love the cover! Thank you for the chance to win this book, looks like a awesome read. This is such a wonderful series, I love 💗 it!!! Sounds like it’s going to be a good book to read,love the cover. Would love to win! 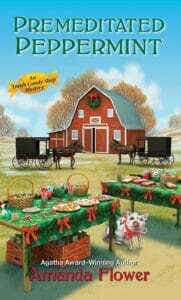 Peppermint & Amish novels are 2 of my favorite things! 🙂 Thanks! Love Christmas stories! 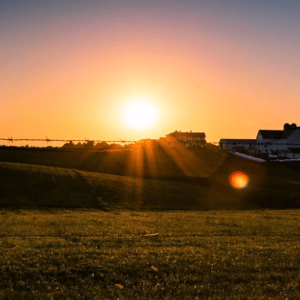 Love Amish stories! Hope I win!!! I haven’t read this series yet, but I really enjoyed the description of the book. I’m looking forward to reading the book. this book sounds very much like something I would love to read! Amish is my very favorite books to read of all. I have many Amish books in my collection and there’salways room for one more. Going from the big city to the Amish country is wonderful and makes a very interesting read. Thanks for the chance to win this book! I love this series! You can’t get a better mascot than Jethro! Yes, I like the cover! Makes me think christmas. I don’t believe I have ever read one of your books, but this book sounds very intriguing. Would be interesting to read. This book looks really good. Thanks for a chance to win. I have read all of Amanda’s mysteries. They are wonderful. I would love to win this book. I look forward to reading this book. Would love to win a copy. This books looks/sound great. Can’t wait to read it. Thanks for the chance to win a copy. I’d love to read this book since it would be the first I’ve read by this author! PREMEDITATED PEPPERMINT sounds wonderful. Thank you for the opportunity to win. Sounds like a sweet book and I would love to win it. This sounds like a ‘sweet’ read, thank you for the chance to win a copy. I love Amish books and mysteries. This book is the perfect combination! Love the cover and thanks for the chance to win. This sounds really good. I look forward to reading. Looks like a great book and would love to win a copy. Our Church Library readers enjoy our Amish/Mystery books and I do too. If I win this book, it will be given to the library but only after I read it first. Thank you for the opportunity to win this book! Enjoy reading very much! Thank you for the contest opportunity I love Amish stories and this little taste wants me to read this story. I don’t think I know this Author so I’m looking forward to getting to know her and her books. Wold enjoy reading this book. Thanks for the giveaway! I have never read this author’s works but first chapter is wonderful. nothing like a great Christmas read! Thanks for the opportunity to win. When will this book be available in print? I enjoyed reading the last book! Blessings! I love reading Amish books and this one sounds very interesting. I have read other books by Amanda Flower and loved every single one of them! I hope I win this one! Looking for to reading this series! Thank you for the chance to win a copy. The winner of a copy of Premeditated Peppermint is Jean Benson Thompson. Congratulations! Watch your email for details on how to claim your book. Thanks for entering, everyone!